Dallas (214) 343-8433 Tarrant (817) 261-1001 Email Us! We service all brands of lawn sprinklers across the entire DFW metroplex area. 24 hour EMERGENCY SERVICE available seven days a week. Senior and military discounts available. One year parts and labor warranty on sprinkler repairs. ALL WORK GUARANTEED. We use Rain Bird commercial parts for all of our repairs. All techs state licensed and insured. Let us advise you on how to improve your lawn sprinkler system for maximum water conservation.Accredited Business by the Better Business Bureau for 10 years with an A+ Rating. Rated Top Sprinkler Contractor in Garland 2010-2014. Check our ratings on Angie’s List, Home Advisor & Thumbtack! Our new Rain Bird lawn sprinkler systems are designed for maximum water conservation. Every system features a full 3 year parts & labor warranty & are designed to provide 20-25 years of reliable operation. We use commercial grade equipment on all installations. Installation estimates are always FREE. We install systems across the entire DFW metroplex area. 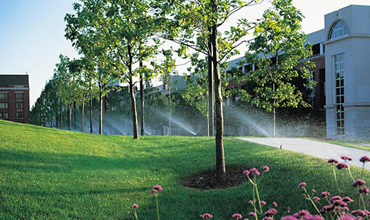 Ask us about sub-surface drip systems and why they use 50-70% less water than above-ground sprinkler systems. Our subsurface drip systems feature the remarkable copper-tipped Rain Bird XFS dripline that inhibits root invasion. No more broken heads and no surface water for mosquitoes Yes, we install foundation-only drip systems, as well as retro-fitting existing lawn sprinkler systems with foundation-only drip zones. Estimates for dripline installations all always FREE. When it rains, we sell drains! Over 150 drains installed in the past ten years—and we’ve never received a call after a rain storm yet! Estimates for Drains are always FREE. Let us design and install a drain system for you! All drains feature a full 3 year parts & labor warranty. Sod installation estimates are always FREE. 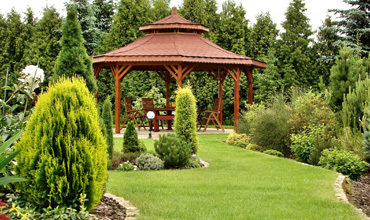 We offer all varieties of sod, from Bermuda to St. Augustine to Zoysia. Our installations include roto-tilling of your soil, removal and haul-off of the existing grass & weeds, delivery & installation of the sod, plus rolling the sod for a beautiful golf course finish. LED lighting estimates are always FREE! Our LED lights come with a 15 year replacement guarantee. Let us design & install a LED lighting system for you! Just to let you know what a responsible and respectful young man Steve is as well as very professional and efficient. I will definitely refer others to RainMasters Irrigation & Landscape and will be calling you with any other sprinkler needs. I just wanted to say thank you for taking care of my issue yesterday. Clinton came by my house yesterday after Todd’s visit to my house. I was really quite impressed with Clinton. He did what it took to get the job done and was very pleasant to deal with. Clinton took the time to trouble shoot the situation and find the issue. Though it was late Clinton never gave the impression that he was in a rush or needed to leave. He really did what was necessary to fix my sprinkler system. Thanks again for taking care of my problem yesterday. 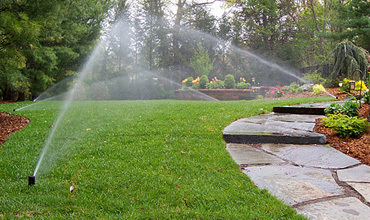 I will without any hesitation recommend RainMasters Irrigation & Landscape. I just wanted to take this opportunity to say thank you for the work your guys did on our sprinkler system and the great service you provided for our church. We called several company’s seeking bids on the work and your pricing was outstanding and your service was even better! So thanks for all you did. We are up and running thanks to you and your team! Have a great day! I highly recommend RainMasters Irrigation & Landscape for anyone having problems with their home irrigation system. My front yard sprinklers worked, but the backyard sprinklers weren’t getting any water. RainMasters tech was on time and quickly diagnosed the problem, a bad control valve. The Tech got out his detection device and found the valve box location that was under a cedar fence. Within a few minutes, the dirt was removed, the old valve was removed, and a new valve installed. My experience with RainMasters was nothing short of great – on time, quickly found the problem, and had the valve fixed in quick and professional way. Do we still need water restrictions? The drought in North Texas is over! Copyright © 2015-2016 RainMasters Irrigation & Landscape. All Rights Reserved. Dedicated to Water Conservation.